Terma is introducing a new range of electrical heating devices controlled wirelessly via an application for iOS and Android. The Terma BLUE LINE range (employing Bluetooth® technology) consists of two heating elements that are constructed based on current, reliable Terma heating elements as well as a new electric radiator. The first one to come, is the KTX 4 BLUE, the next one is the MOA Blue – they are the two most popular Terma heating elements. The third product to come is the Case SLIM BLUE (both horizontal and vertical) and the fourth is a room temperature sensor that works together with all the BLUE LINE products. 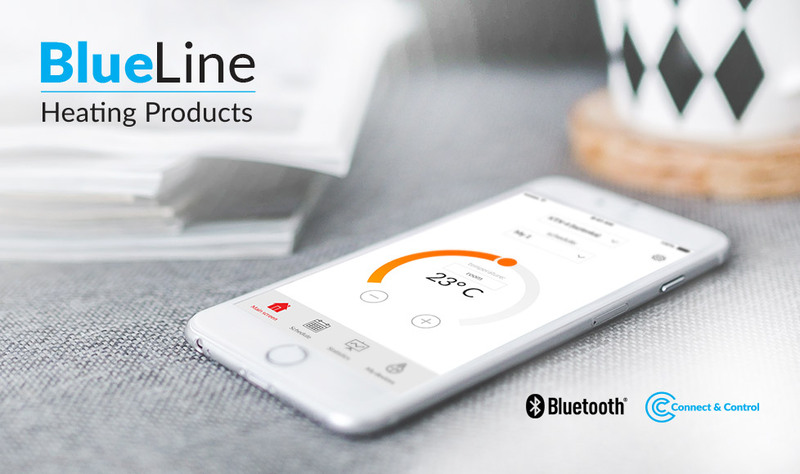 The concept of wireless communication of Terma BLUE LINE products is based on the state-of-the-art Bluetooth® 4.0 wireless communication protocols (Bluetooth Low Energy). The products are controlled via an app that is suitable for both smartphones and tablets. allows you to integrate any number of Blue LINE heating elements so it is the perfect temperature management system for both houses and apartments. The app has been designed for both Android and iOS users and will be available to download via Google Play or App Store. Please be invited to watch the video presenting the BlueLine.